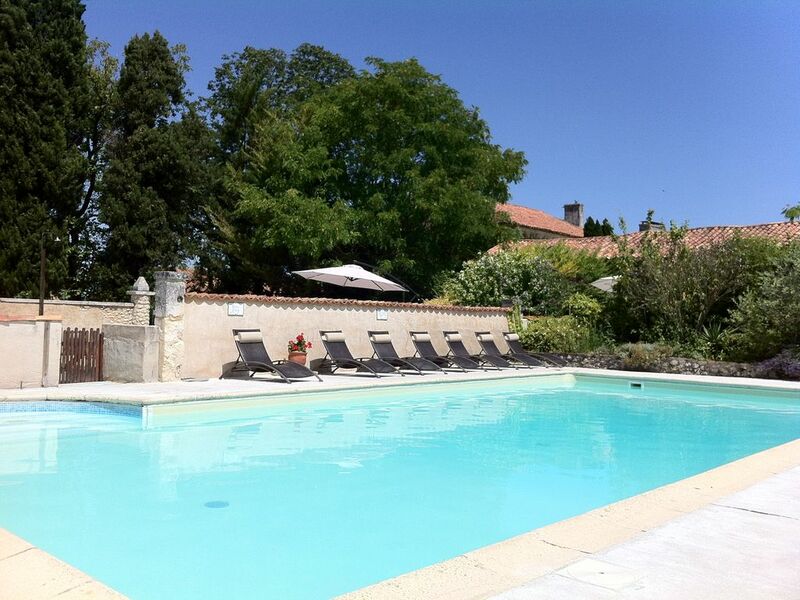 Longeveau is located on the Charente / Dordogne border in a beautiful valley in rural South West France. Nearby villages are full of activity, with places to visit, dine and drink. The picturesque Roman town of Aubeterre, voted one of the prettiest villages in France, is only a bike ride away. Discover the 12th century subterranean church carved out of the rock or enjoy a drink on the village square with it’s variety of shops, eateries and museums, all overlooked by a 1,000 year old chateau. Or walk down to the river beach for a swim, relax or a light bite to eat. The market town of Riberac (20 mins) has one of the biggest markets in France. The capital towns of Angouleme and Perigueux (both 45 mins) offer a wider and more sophisticated range of shops in a typically French setting. Brantome, nicknamed the ‘Venice of Perigord’ is well worth a visit at a similar distance. The region is a paradise for wine lovers who may wish to visit the numerous chateaux and wine caves on the Bordeaux wine trail, with St. Emilion, Bergerac and Cognac also on our doorstep. Local activities range from walking, sight seeing, tree climbing, canoeing, cycling, fishing, jet–skiing and quad biking to name but a few. Wine tasting and degustation are of course a staple part of the French experience! There are lots of local festivals, fetes and firework displays throughout the summer. Children will find plenty to occupy themselves and their families with local activities including crazy golf, horse riding and tree top adventure’s, plus river and lake beaches, play areas an wet day activities too. The beautiful beaches on the west coast are worth a day trip, as are the popular attractions of Aqualand Water Park, La Palmyre Zoo and Futuroscope. South West France is known for it’s great climate, with sun drenched summers, rolling green hills and valleys, plus all the history you could ever need. The food and drink is superb and the people are welcoming. We’ll always have somebody on hand to help you decide what to do..